“Two. The answer is two. That is the precise number of shits I give. Like, who cares you know? It’s two people getting married in another country on the other side of a vast ocean, who really gives a flying hoot? Not me, I’ll tell you that much, not this guy right here, oh ho no,” said Toronto-area man Jim Smorrison, to no one in particular while riding the 501 streetcar to work early on an otherwise lovely Tuesday. 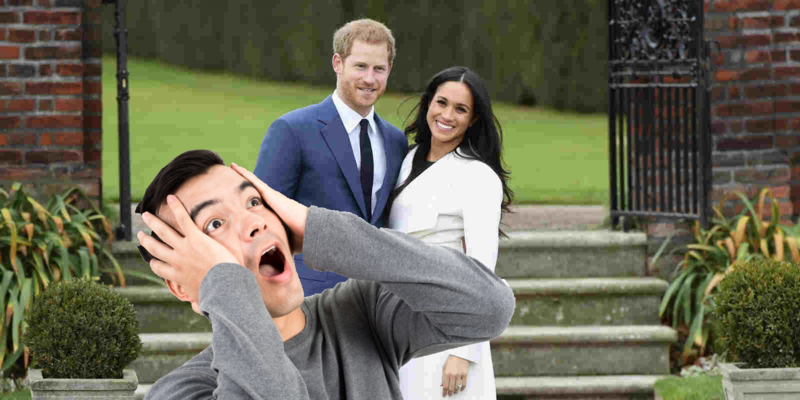 Experts say that between Jim’s waking at 6:53 AM, and passing out in front of the TV while browsing the trending twitter hashtag #MarkleSparkle at 10:17 PM, the 34 year-old junior sales representative for Pfizer spent precisely 14 hours and 23 minutes either posting online regarding how little he cares about the recently announced royal wedding, telling work colleagues the same, phoning his mom to share his total disinterest with her, or just quietly mumbling to himself while perusing extensive glossy mags for full length photos of the fabulous couple. “Well I just really, really don’t care,” the Suits superfan said when confronted with the statistical breakdown that would seem to indicate that he does, in fact, care quite a lot actually, but just isn’t able to admit it out of fear of giving away that he is in fact a closet monarchist; one who is secretly obsessed with the dashing young prince and soon-to-be princess. Smorrison picks up his phone to distract himself from how little he cares about the coming wedding. His newsfeed remains full of the graceful couple. He sighs heavily.